The option of image file compression can help to compress the image file so as to reduce the storage space of the backed up image file. None: Data will be imaged without any compression, so the image file size will be equal to your original data. High: A much higher compression level is used during the backup. The image file will be smaller than other levels but the backup will take longer to complete. Please note some kinds of file are essentially compressed, such as .jpg, .pdf or .mp3. 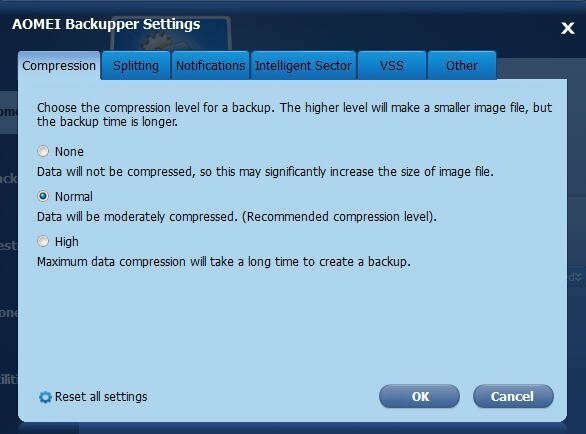 If your backup contains many such files, the generated image file might not significantly decrease even when High compression level is selected.